Back by popular demand! 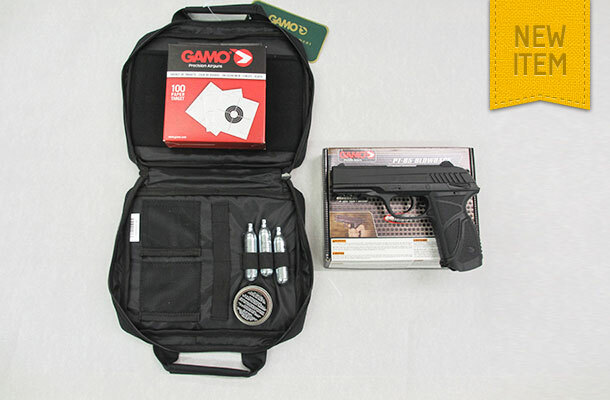 The Gamo PT 85 gift pack comprises of a PT 85 blowback pistol (138 metres per second), 16 pellet double magazine and an integrally moulded weaver rail for the fitting of a laser. Also included is a carrying case, 100 targets, 250 pellets and 3 x Co2. We expect supplies to be limited.